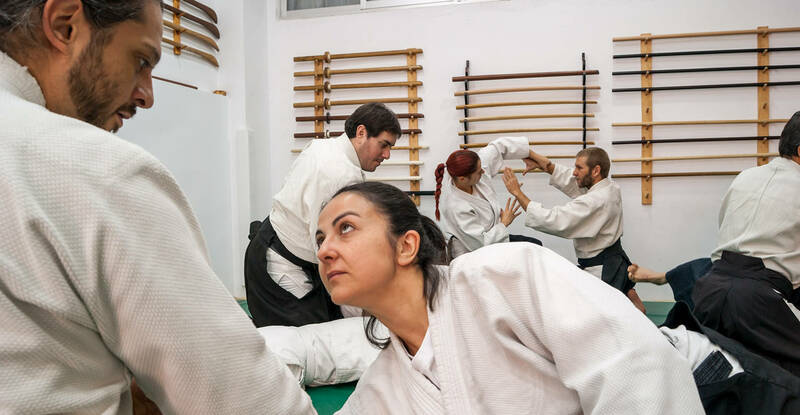 Is the only place in Valencia running since 2009 exclusively dedicated to teach Aikido. We have a program full of training in the mornings and in the evenings. It is opened six days of the week with training plans separated into beginners and advanced students. All of it in a traditional environment perfect for the practice of japanese martial disciplines. The dojo maintains strict training and safety standards. Also, a complete program of seminars with invited teachers gives our members the opportunity to amplify their practical experience. The activities of the dojo include Aikido for children and weapons training. Moreover, we have other traditional martial arts such us IAIDO (japanese sword training) and KORYU (old school) TODA HA BUKO RYU (Naginata). The association has a section of GO (millenial board game), a complete library about orientalism and ZAZEN sessions. We motivate those who are interested in joining the Aikido school, visiting the dojo, talking to the teachers and observing students practising to obtain a personal impression of Nishinkan dojo’s atmosphere and quality. Generally, Aikido becomes in a life path plenty of health benefits and comfort. It is important to visit many dojos before taking the decision about the best place for each one to train, due to the importance of this choice. Nishinkan Dojo collaborates with Athens Aikido organisation, the Greek Aikikai’s founder, recognized by the Aikikai foundation (Tokyo, Japan) to give official Kyus (white belt) and Dans (black belt). Joaquín Jiménez Puerto started practising Aikido when he was 22 years old in the Aikido Club of Universidad Politécnica de Valencia with Ezequiel Matías sensei. During his practice there he attended numerous seminars imparted by Iwagaki Shigenori sensei in the UPV. He started giving classes under Ezequiel’s supervision after obtaining his first dan FEJYDA and the instructor’s certificate. 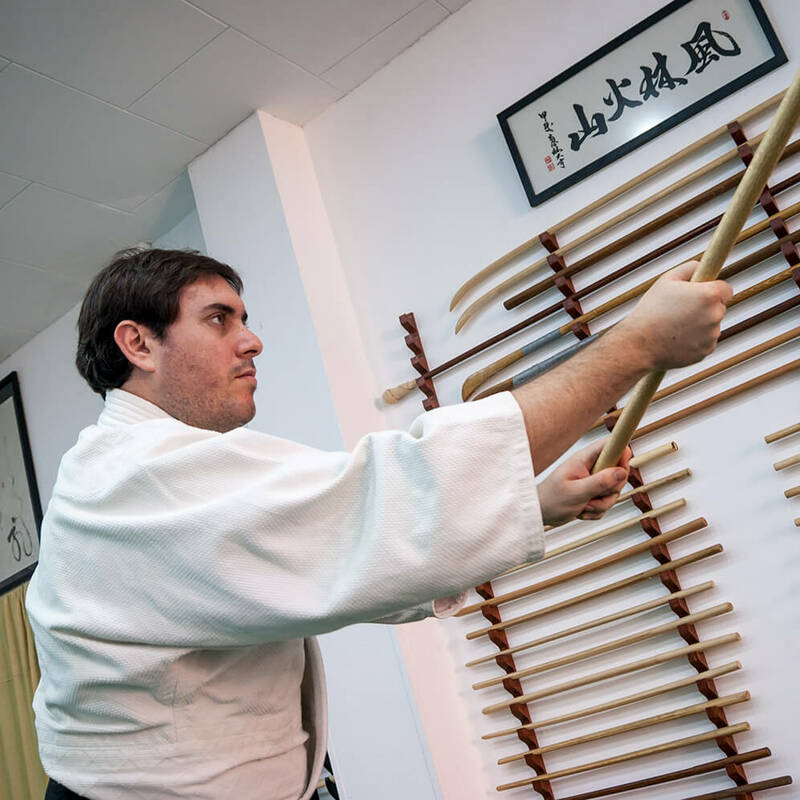 He has given classes in dojos like Ashihara Karate dojo, Wu-Shu Benicalap and Valencia’s University since he graduated in UPV. He has been invited as a ponent of Aikido’s subject in Verano Bancaja’s International University since 2006 until 2009. He travelled to Athens in 2005 and met there Janer Clift sensei and Eamonn Devlin sensei (Dojo Aikido of Athens’ technic directors). Since that moment he tried to bring them closer by inviting them to give annual seminars in Valencia. In 2016 they gave them the Aikikai Sandan. Since 2006 he works under their guidance and technical direction. After many trips to Japan he obtained shodan of Iaido in Koofu (Yamanashi) in Muso Shinden Ryu (ZNKR), in the line directed by Tsuyoshi Sato sensei (7thDan), from Yamanashi (Japan). Now he practices Toda-Ha Buko ryu naginata jutsu with Ellis Amdur Shihan de THBR (Hokusei Dojo), where he has been given Shoden. Moreover, he is the director of Nishinkan Dojo, Sanndan AIKIKAI (mantaining Eamonn Devlin sensei y Janet Clift sensei’s line of working), 4th dan RFEJYDA, trainer, Shoden in Toda-Ha Buko ryu naginata jutsu and Shodan in Iaido (Muso Shinden Ryu- Sete Iai). She started practising Aikido in 2000 in the UPV with Ezequiel Matías sensei. In 2004 she obtained first Dan of FEJYDA and a year later the teaching certification of the same federation. 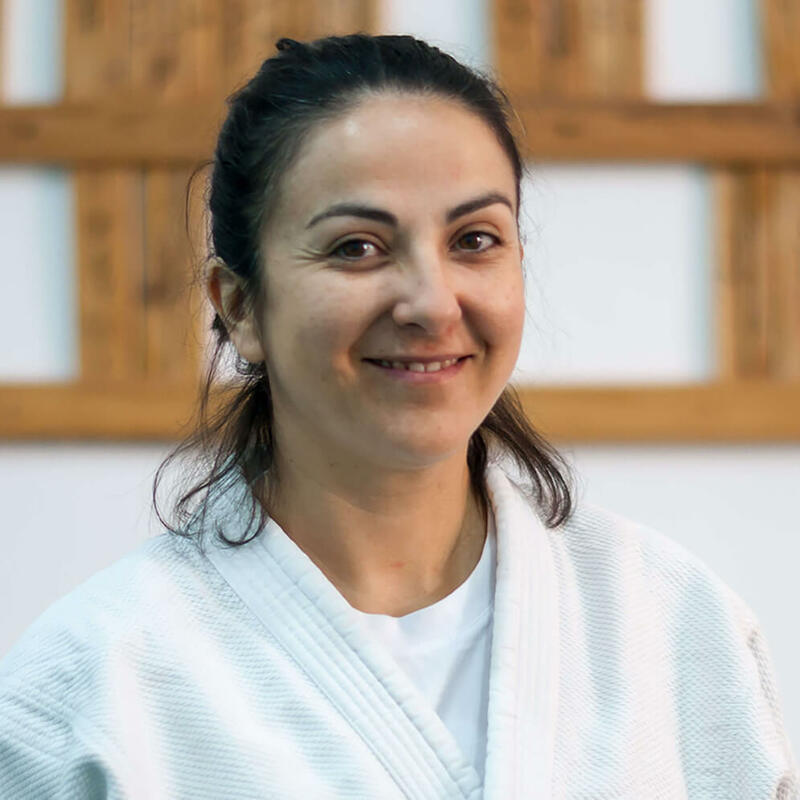 Once she finished her studies in the UPV she continued practising Aikido with Joaquín Jiménez sensei, in Ashihara Karate dojo, Wu-shu dojo and currently in Nishinkan dojo. 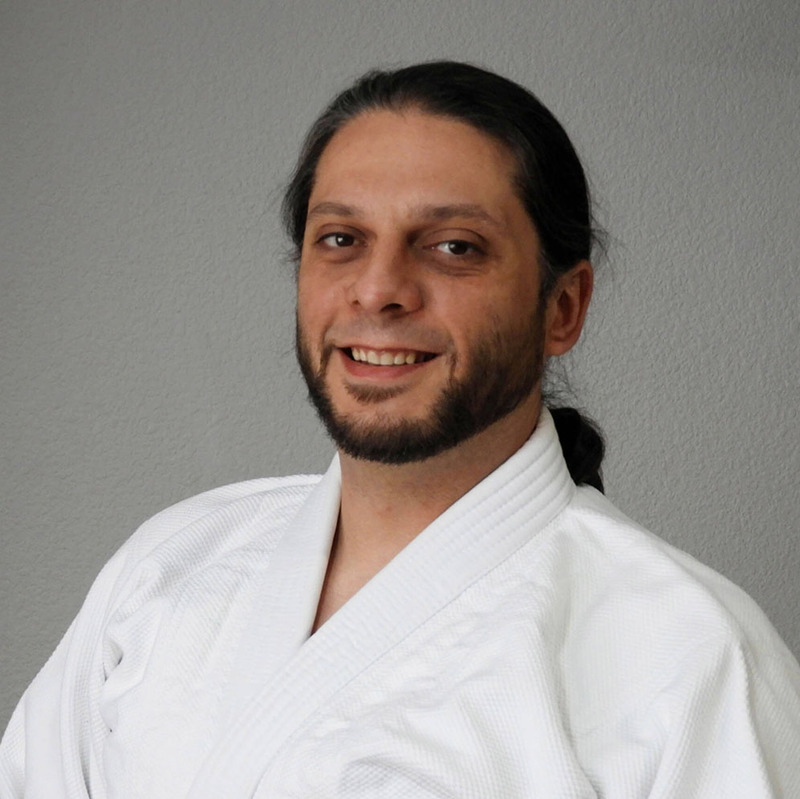 He started practising aikido in UPV in 2006 under Joaquín Jiménez sensei’s technical direction. Since 2011 he complements his formation with regular Iaido, Kyudo trainings. In 2013 he obtains Shodan AIKIKAI.